Press Release (ePRNews.com) - New Delhi - Feb 23, 2017 - The losses suffered from theft and property damage in a burglary could cause a significant dent in your account. Luckily, there are effective measures you could take to prevent against this kind of eventuality. Research and statistics show that burglars usually look for an easy and stealthy in and a quick out. The purpose of your security measures should, therefore, be to make it as difficult as possible for the burglar to get access says Rubina Ratnakar. Motion activated security lights are the best option since they provide an element of surprise that could scare the burglar away. However, any kind of security lighting is applicable. Make sure that the lights are fitted in such a way that they cover the entire house. What you are aiming for is maximum visibility and as an added security measure, you should make sure that there isn’t any cover, such as bushes or trees, where a burglar could easily hide. Certain points of access, such as windows, could make you more vulnerable to burglary. That is why you need to assess the risk factor and burglar-proof your house. For instance, install deadbolts on your doors and grills on your windows. The objective is to make unauthorized access difficult, if not impossible. In most cases, it is best to consult a security firm first so that they can conduct the assessment and advise you accordingly. Keep in mind that burglars are also aware of the security measures and may have ways around them. 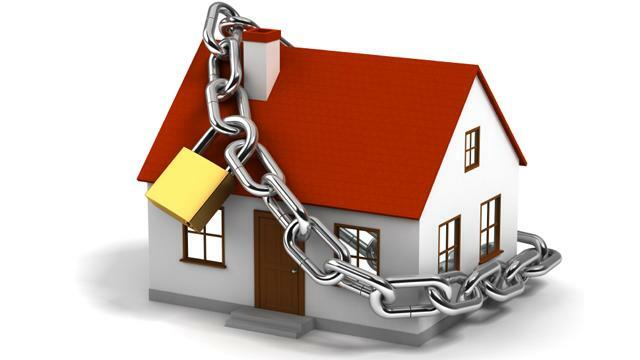 It is more difficult for a burglar to get into a house if there are occupants. You can’t always be at your house, however, which is why you need to make it seem as though you are. You can do this by using timers to operate the electronics in your house, such as the T.V., sound system and lights. You will notice that most of these measures utilize the use of electricity and electronics. This creates a great point of vulnerability if the electricity was to be compromised. By concealing your wiring, you make it impossible for the burglar to cut off the power and render your security measures useless. If you have the money to spare, you should invest it in a high-tech, comprehensive system. This should include CCTV cameras, alarms and a connection to a rapid response security team in case the system detects an intrusion. The key to a successful security system is to use all the measures at your disposal at once. In so doing, you compensate for the vulnerabilities in one measure, by relying on the strengths of other measures, which provides a greater deterrent for burglars.